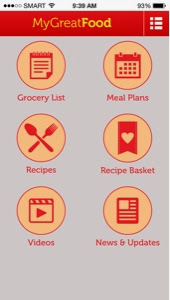 After being a homemaker for five and a half years now, making a weekly meal plan is still the biggest challenge for me. I just whip whatever I feel like cooking but there are days when I'm just too lazy to think! I know you can relate with me. 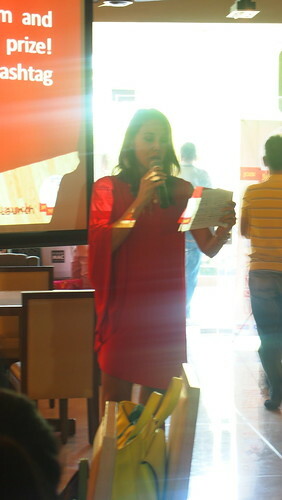 Last Friday, I was invited to the launch a something really really great! 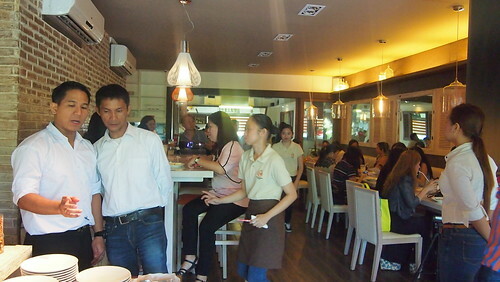 It was held at Marmalade Kitchen in South Forum Global at BGC. Lovely and cozy place! 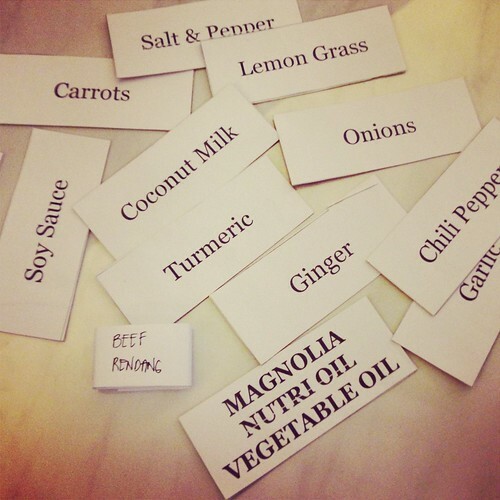 We had an ice breaker game, guess the ingredients! My team mates were Jackie and Lori Baltazar (yes, the one and only!) The dish given to us was Beef Rendang. Lori cooks this dish so it was easy peasy (for her. Heehee)! 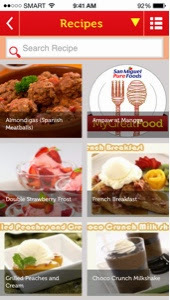 San Miguel Pure Foods (SMPF) (SMPF) launches My Great Food portal which provide food lovers like me with new and interesting recipes that can be done at home. 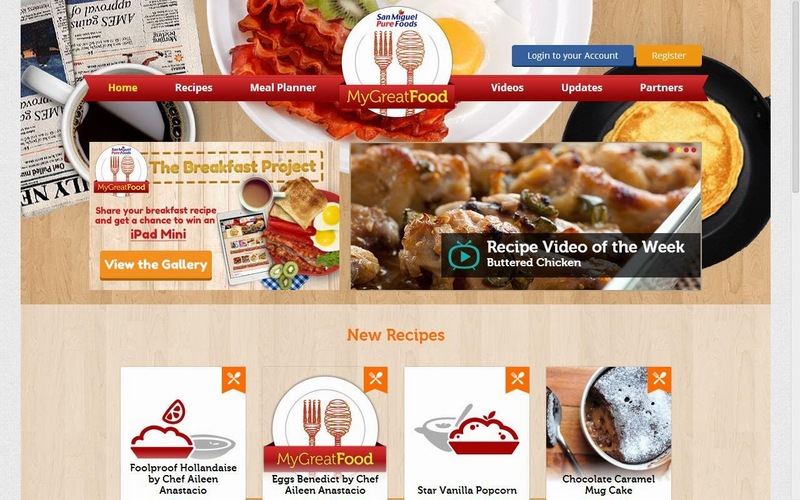 With over 1,000 tested recipes, one will never run out of recipes! 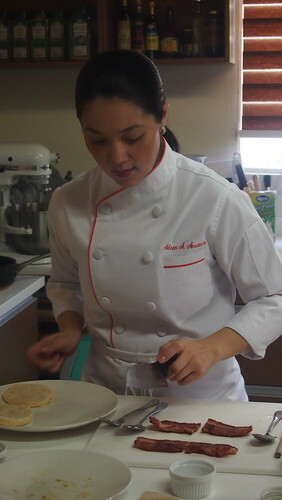 A recipe hub for someone like me who likes to cook! Wuhoo! 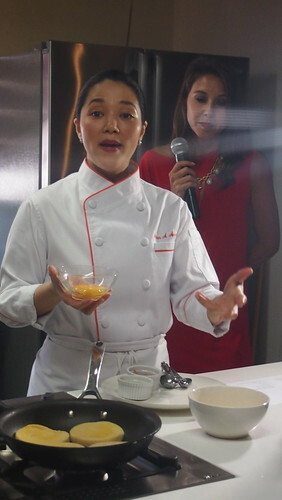 And to demonstrate a easy recipe using San Miguel Pure Foods products, Chef Aileen Anastacio, owner of Marmalade Kitchen showed us a very easy way on how to cook Eggs Benedict with Hollandaise sauce! 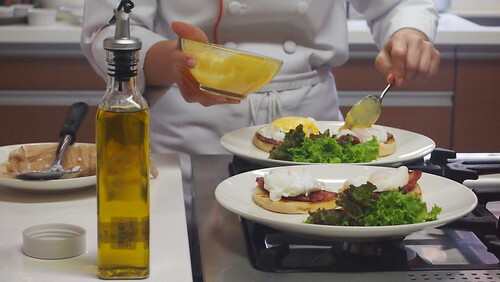 I've never made a perfect poach egg except when I cook the egg in tomato sauce then it's easy. 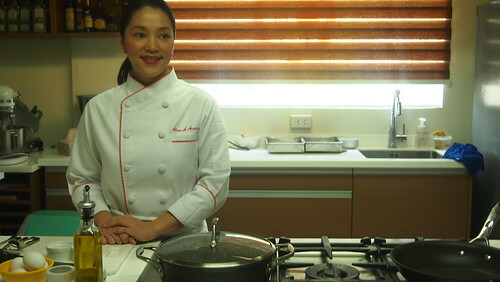 One trick Chef Aileen taught us was to boil water but not to the point it's super hot. 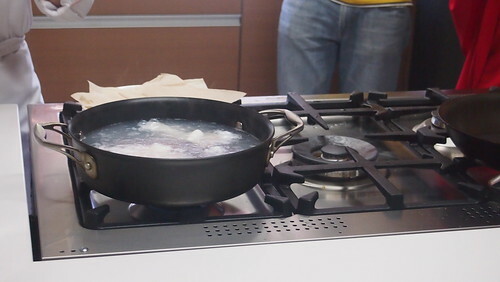 Put vinegar and stir the water to make a vortex then slowly slide in the egg. What I do is crack the egg and put it in a ramekin or bowl first. It's okay if you break the yolk the first time. Go and make another one! When done, put the eggs on paper towels. 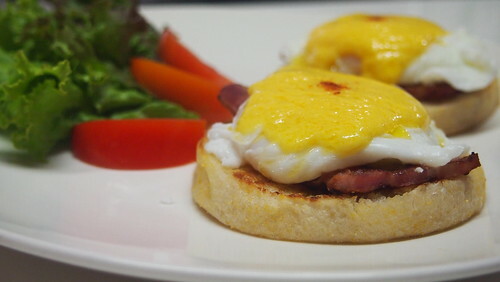 I didn't know that there's as easy way to make Hollandaise sauce! I will try to do it at home! 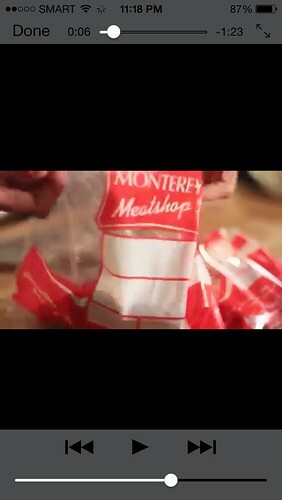 This photo is making me hungry! Rawr! 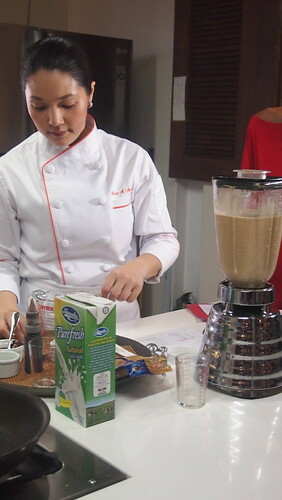 Chef Aileen also made a simple coffee drink with a blender! 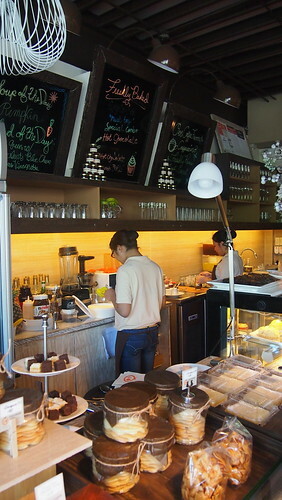 No need to go to coffee shops. You can cool down this summer heat right at your home! 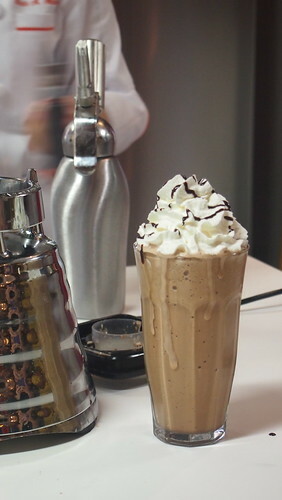 Look at that drink! It's making me thirsty also. Heehee! I know all of us who likes to cook but doesn't really have cookbooks at home always use the internet for recipes. 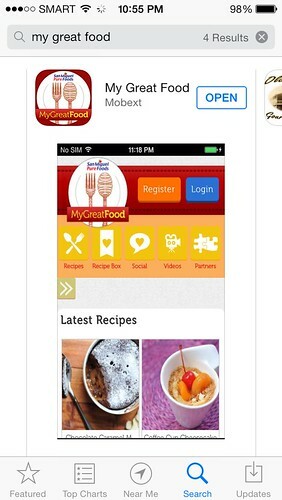 Now we can easily check My Great Food or download the My Great Food mobile app! I can feel that this will be a lifesaver for my lazy days! Download the app for free now at App Store or Google Play! 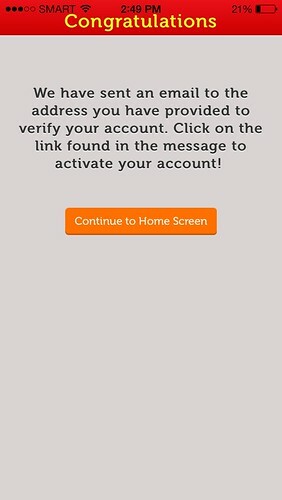 Using the app is very easy! 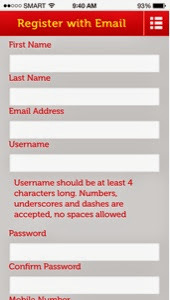 Registering is as easy too! 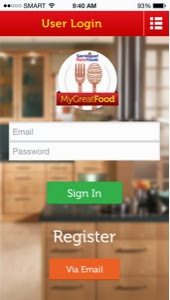 If you already have an account on the My Great Food website then no need to register. 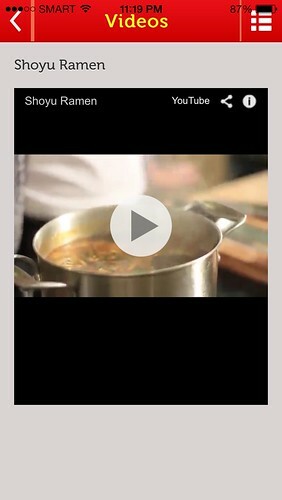 You can scroll down to look for a recipe or you can use the search function if you have any dish on your mind. 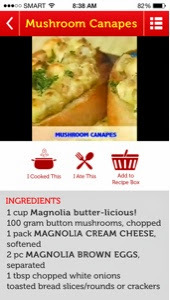 Just click on the photo and the recipe will be shown. 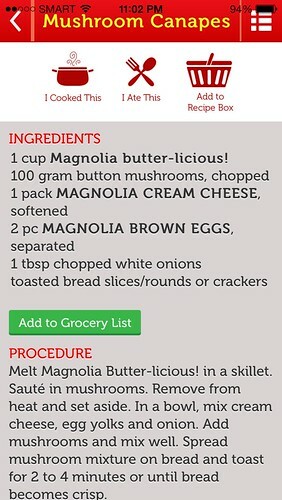 If you've found the recipe you like, click Add To Grocery List and it will make you literally a list for you! How awesome is that! 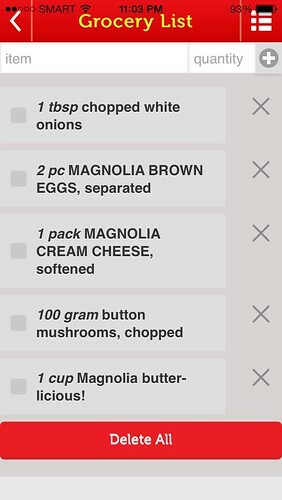 You can also add recipes you like to the Recipes Basket so no need to search again. 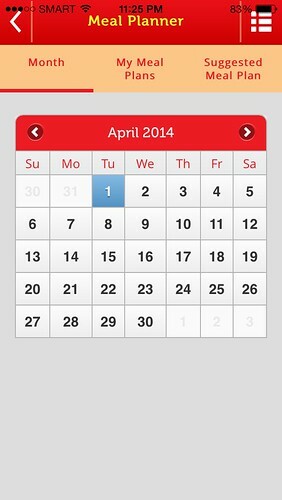 You can Make Your Own Meal Plan or use the suggested Meal Plans. It's a no brainer. 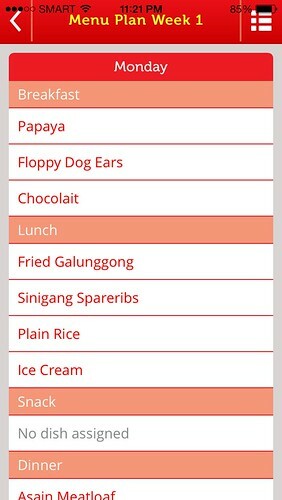 No more worries about no food or ulam the next day! I'm so happy when I found this! recipe! And I love the video gallery feature. Makes it more easier on everything! 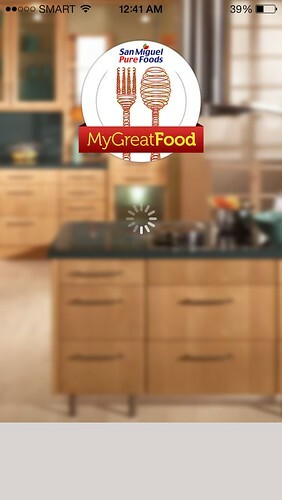 My Great Food app is just what I needed! 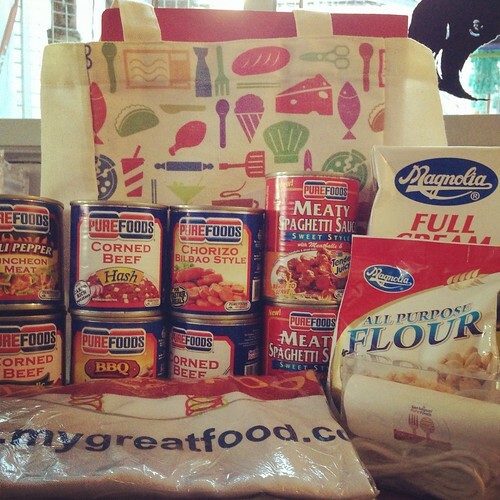 What's so great about it is all ingredients are available in Manila! 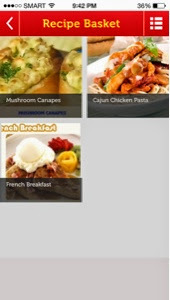 Download the app now and find out why it is a must that you download it na! Thank you SMPF! We already opened and ate some of these!